£2. Free for accompanied children. 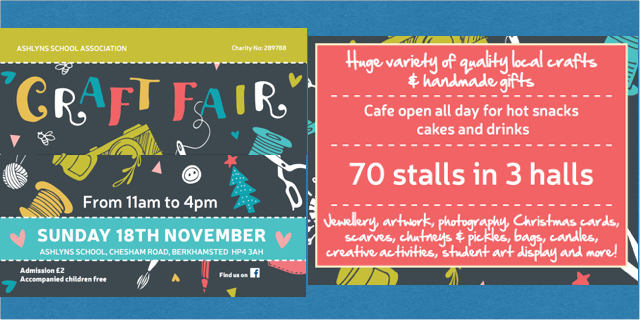 One of the biggest autumn fairs in this area, the Craft Fair offers a huge variety of quality crafts and handmade gifts by local makers and producers. It's organised by the volunteers of the Ashlyns School Association charity, raising vital funds for Ashlyns School.